The time capsule Williamsburg, Brooklyn revisits footage shot in Lithuanian immigrant communities in 1950. By 1972, when Mekas returned to neighbourhoods where he lived two decades before, many were reduced to freeways and wastelands. The pop artist receives a basket of fruit to commemorate the Independent Film Award. 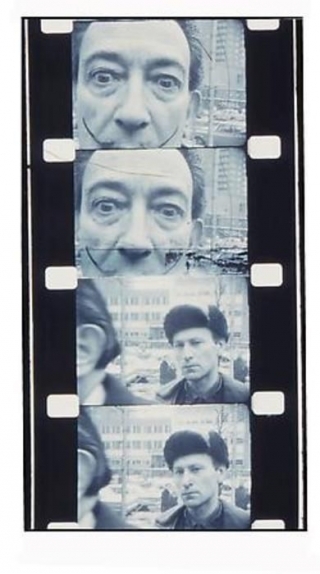 In homage to Warhol’s style of filmmaking, the camera lingers as his entourage consumes bananas, apples and mushrooms. A stop-motion sketch of the French port over the course of the day. Looking again at the period covered in Walden, In Between 1964-68 is composed of material not included in the earlier film. It’s no less fascinating, with extended passages following Salvador Dali in New York, and appearances by Norman Mailer, Diane di Prima, Shirley Clarke and underground superstar Taylor Mead. Also screening Sunday 16 December at 6:20pm.